Servicing your car, van or truck might seem like one of those tasks which only means expense and inconvenience, like visiting the dentist or the doctor. But just as we do both of the above for the sake of our health, that car service is just as important for the wellbeing of your car. So here, we present 101 facts about car servicing and repair which we hope will convince you of the importance of having your car regularly looked after. 1. Annual labour costs for car servicing equate to between 2.04 and 2.34 pence per mile, out of a total running cost per mile of between 18.56p and 29.06p per mile, according to AA figures. Running costs are the charges you have to pay to actually use a car, rather than just own one. 2. There’s no standard for determining the intervals at which a car needs servicing. 3. The service interval is set by the manufacturer. 4. There is some variation between these intervals, ranging from every 5,000 miles, up to every 20,000 miles or two years. 5. A car’s handbook should include a service schedule booklet which will include the recommendation on service intervals laid down by your manufacturer. 6. Service intervals can be expressed in terms of mileage or time periods. 7. So a car which covers more than the average annual mileage of about 10,000 is likely to need more than one service per year. 8. The service interval is also programmed into many modern cars’ electronics, which will trigger the display of a service reminder light on the dashboard to advise you to book a service when it falls due. 9. Getting this stamped and dated, and the mileage at which a car service was carried out is an important element in maintaining a new or nearly-new car’s original manufacturer’s warranty. 10. If your car’s covered by such a warranty, you will need to abide by your manufacturer’s recommended service intervals for it to remain valid. 11. A manufacturer’s servicing schedule usually calls for a combination of basic, standard tasks to be carried out every time, along with other jobs which may only be recommended to be carried out every second or third service. 13. You’ll often see a basic service referred to as an ‘interim service’, with the more comprehensive version, involving more tasks, called a ‘full service’. Many franchised dealers offer what’s called ‘menu’ or ‘fixed price servicing’ for their car servicing, with a flat price being charged for all the standard tasks involved in each type of service. 14. What are known as ‘Block Exemption’ laws were introduced in 2012, which mean that, subject to some conditions, you don’t have to get your car serviced at a franchised dealer for its warranty to stay valid. 15. These laws do, however, stipulate that a garage carrying out a service must use original parts to keep a warranty valid. What’s A Car Service Worth? 16. Although it isn’t compulsory, having your car serviced by a franchised dealer while it remains under warranty will help it retain its value. 17. Research has found that a used car with a service history can sell for as much as 23 per cent more than one without a complete servicing schedule. 18. The letters ‘FSH’, commonly seen on a description of a car for sale, stand for ‘full service history’. 19. Sellers will often put an extra letter or letters after the ‘F’, intended to show that the car’s services have all been done at a franchised dealer’s workshops. E.g. FFSH could mean ‘Full Ford Service History’. 20. This is probably to appease the 37 per cent of participants in the survey mentioned at No 14 who don’t believe that a service history containing entries from a non-franchised dealer is as trustworthy as one with a full set of franchised dealer’s stamps. 21. Many manufacturers, for example Mazda, now keep digital service records for all their new cars, so there’s no need for a service book. 22. The most important routine operation of any regular service is an oil change. 23. Oil should be changed every 3,000 miles for short trip city stop-and-go driving (especially during cold weather), or every 5,000 to 7,500 miles for mostly motorway driving. 24. If you do get your car serviced at an independent garage, ask it to record the type and grade of oil used, because manufacturers have tried to escape having to meet claims under their warranty on the grounds that the car’s owner couldn’t prove that it had followed their recommendations. 25. A car engine typically holds between three and five litres of oil. 26. So a small, one-litre bottle of oil, which you can buy from garages and many supermarkets, doesn’t contain anything like enough to get your car to its next service if the oil level is very low or empty. 27. Manufacturers will recommend which grade of oil is suitable for a particular engine, and again this will be recorded in the car’s handbook. 28. The size of a car’s engine has nothing to do with how long it should take to service it. 29. But it’s common for dealers to charge more for servicing one of their biggest models than their smaller ones. 30. It isn’t, though, work on the engine which tends to cost more. Rather, it’s maintenance on other parts, particularly the transmission, which prove the ‘bigger = more expensive’ maxim. 31. Repair costs on cars stay pretty consistent up to their eighth birthday, but it’s after this age that more things start to go wrong. 32. So there’s a good reason why no one’s likely to try to trump Kia, whose seven-year warranty is the longest offered on any make of new car. 33. The basic figure which determines how much you’ll pay for a service or most repairs is a garage’s hourly labour rate. 34. Independent garages usually work out the cheapest on this basis, but there are big regional variations. 45. The cheapest rate found in a survey by the Independent Garages Association was £32 per hour (2015 prices). 36. Drivers in Northern Ireland have the good luck to be charged these lowest prices. 37. The highest average ‘per hour’ rate it found was 50% higher than the lowest, at £48. 38. You probably won’t be surprised to learn that this was the going rate in London and south-east England. 39. The RAC reckons that it costs around £472 to maintain a used car over the course of a year. This includes getting the MoT, and any servicing and repairs required. 40. The official cost of the MoT test is fixed in each budget by the government. 41. At the time of writing, it’s £54.85 for a car, and £29.65 for a standard motorbike. 42. But it isn’t compulsory for testing stations to charge this price - in theory, they can charge whatever they want. 43. The most expensive class of vehicle to test is a bus with more than 16 seats, for which the maximum charge is £124.50. This charge also covers a check that all seat belts are installed and work properly. 44. Only garages which display the ‘three white triangles’ sign are authorised to carry out MoT tests. 45. Some testing stations operate appointment systems, while others will do the test ‘while you wait’. 46. Every car needs an MoT, on the third anniversary of its first registration, and every year after that. 47. You can put the car in for its test up to a month minus a day before the due date. 48. But if your car already has a valid MoT, and provided you produce it at the time of the test, a new certificate can be issued which is valid until a year after the expiry of the old certificate. 49. Running the MoT testing system is the responsibility of the Driver & Vehicle Standards Agency (DVSA). 50. Driving a car which doesn’t have a current, valid MoT test is a criminal offence. 52. ‘MoT’ actually stands for ‘Ministry of Transport’, which was the government department which first introduced the test. 53. The MoT test was first introduced in 1960. 54. It was brought in by the Transport Minister of the day, Ernest Marples. 55. The current holder of that post, Chris Grayling MP, hadn’t even been born when the first MoT tests were carried out - he arrived in 1962. 56. The test was initially only required for vehicles which were 10 years old and older. 57. The test was made compulsory for all vehicles once they reached three years old in April 1967. 58. Many of the minimum standards imposed by the test are the result of European Union directives. 59. So the UK government will need to introduce new laws covering these once the country is no longer part of the EU. 60. But the EU only stipulates that vehicles need to be tested for roadworthiness every two years. 61. The UK has about 19,000 MoT testing stations. 62. More than 50,000 people are officially designated as being permitted to carry out MoT tests. 63. Anyone wanting to become an MoT tester can’t go to college to learn the job - they have to do their training at a garage, and then be nominated as a tester by the station’s Authorised Examiner. 64. European-wide standards laid down for MoT tests are considered to set a base level of checks; individual countries can pass their own laws requiring more stringent standards if they wish. 65. One member of staff at each garage is granted official Authorised Examiner status by the DVSA. 66. This person will usually - but not always - be the garage’s owner. 67. That person is responsible for upholding all the required standards, and can have their testing licence withdrawn if their establishment is found to have breached any of them. 68. In order to keep their testing licence, a tester must undergo a minimum of three hours’ training per year, or at least 16 hours in any rolling five-year period. 69. They must also be assessed once a year, between 1 April and 31 March. 70. About four in 10 vehicles fail their MoT test when they’re first examined. 71. The percentage of cars failing the test first-time dropped from 40 per cent in 2013-14 to 38.3 per cent in 2014-15 - the latest period for which figures were available at the time this was written. 72. The parts which give rise to the most common causes of MoT failure are, in descending order: Lighting and signalling; Suspension: Brakes; Tyres. 73. Even a single blown bulb will result in an MoT failure. 74. Testers earn qualifications to test vehicles in one or other class of vehicle - Class 1 and 2 vehicles, or Classes 3, 4, 5 and 7. 75. It’s possible for a tester to be qualified to test all vehicles, but they must take separate tests to allow them to do this. 76. A vehicle which fails the test can be taken away from the testing station and re-submitted for the test up to 10 working days later. 79. 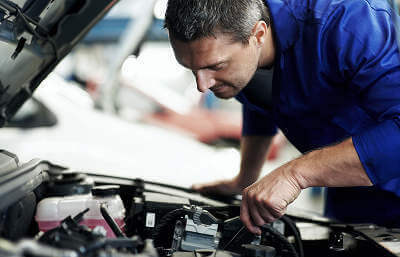 If a vehicle stays at the testing station which repairs it before re-submitting it for the test, a partial re-test can be carried out for free within 10 working days. 80. The garage owner can charge for a vehicle to be re-tested at their discretion. 81. If a vehicle is brought back to a testing station more than 10 working days after the initial test, the full fee is payable. 82. A vehicle owner can appeal against a garage’s refusal to issue a test certificate. 83. The appeal must be lodged within 28 days of the original test date if the items in question are mechanical in nature, or within three months for corrosion issues, except for corrosion of brake discs, brake lines or the exhaust system. 84. Any repairing or replacement of the affected parts between the test and the date of the appeal renders that appeal null and void. 86. There are no legal requirements for vehicle owners to be reminded when their MoT test is due. 87. But if you struggle to remember when your MoT is due, you can get a free reminder. 88. If you need to check the MoT history of a vehicle, the DVSA has made that information available online. 89. The information is available for all vehicles tested from 2005 onwards in England, Scotland and Wales. 90. In addition to issuing a pass or fail notice, an MoT examiner can also issue what are known as ‘advisories’, where an item which is tested still meets the standard at the time of testing, but which, in the tester’s opinion, is likely to fail within a short time of the test. 91. Such ‘advisories’ are not legally binding, but it’s worth taking the tester’s advice and getting the work scheduled. 92. Or you could list the job on MyCarNeedsA.com, and let garages in your area come to you. 93. A typical MoT test will take between 45 minutes and an hour - so it’s probably wise to try to make sure you don’t have to take that chunk out of your schedule more than once a year. 94. If you lose your car’s MoT certificate, you can get hold of a duplicate. The easiest way is to go back to the garage where the original was issued. But they can charge an admin fee of up to £10. 95. Ultimately, the MoT test is only a snapshot of the condition of the vehicle at the time it’s tested. So a pass certificate should never be accepted as evidence of a car being in a satisfactory condition when it’s being sold. 96. Putting all the estimated 35.76million vehicles on the UK’s roads through the MoT test would cost about £1.96billion, MoneySupermarket.com has calculated. 97. YouTube footage has been taken of a car nearly destroying an MoT testing station while it was being put through the emissions test. 98. A 2014 survey suggested as many as one in 10 people didn’t know that an MoT was a legal requirement for vehicles over three years old. 99. The new online system for recording MoT test results had a troubled introduction in August 2015. It crashed for several days, resulting in garages having to turn away drivers needing their cars testing. 100. A quick and easy tip for checking whether your tyres meet the 1.6mm minimum tread depth is to use a 20p coin. If the inner edge of the coin can’t be seen above the grooves, across the main two-thirds in the middle of the tread surface, you should be OK.
101. The biggest piece of advice you can take from all this is that a high proportion of MoT failures are preventable with a few simple checks beforehand. In particular, spending five minutes operating all your car’s lights while having someone walk around the outside to check that they’re working can save you far more than the cost of a new bulb or two. We hope you’ve learned a few things you didn’t know about car servicing and the MoT test from this article. But another useful fact is that you can get an MoT quote for your car easily and with no fuss at MyCarNeedsA.Com.